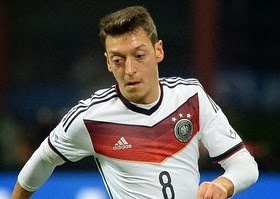 It has been reported that Arsenal boss Arsene Wenger insists that Mesut Ozil is not yet firing on all cylinders. For victory over Cardiff City, the German international created the first goal on Saturday with a fine cross from the left and the second with a ball through a tight space from the right. The former Real Madrid star now has six assists, the most in the Premier League, and Wenger says his £42million man is not even operating at full fitness. “He is 90 per cent there physically,” Wenger said.